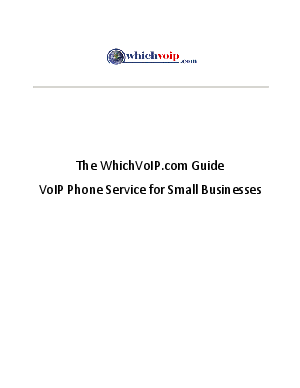 VoIP, unlike the traditional telephone network, uses the internet as a medium for transmitting voice signals. Now when any kind of communication is made over the internet, it’s a “multihop” proposition; that is, the data (or voice, in this case) may go through several different relay points before reaching its destination. That’s the basis of Internet Protocol (IP), and it’s a very efficient and economical way of transmitting information. IP is the elementary building block of the internet and by virtue of its flexibility it can be used to carry voice signals encapsulated in digital form. In telecommunications lexicon, VoIP (voice over IP) transforms sound into a digital signal, which is broken up into individual data packets for transmission over the Internet, and is then reassembled on the other end. Thus VoIP is a deceptively simple way to effortlessly override the traditional phone system, making it incredibly cost effective and very efficient—and quickly making the old phone system obsolete. What makes it even more attractive is its hassle-free installation, and the fact that it can be provisioned without a major infrastructure overhaul and without excessive capital expenditures. In fact, with the rise in popularity of hosted VoIP options, you can be up and running (and saving money) in just a few hours, without having to install any costly equipment.